Explaining the severity of the worst crime a person can commit, attributing partners in worship with our Creator. Islam is the only religion acceptable to the creator. 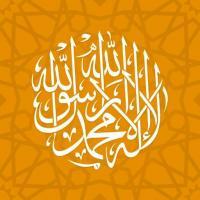 It is the first faith, the unanimous monotheistic religion confirmed and re-confirmed by every Prophet and Messenger.